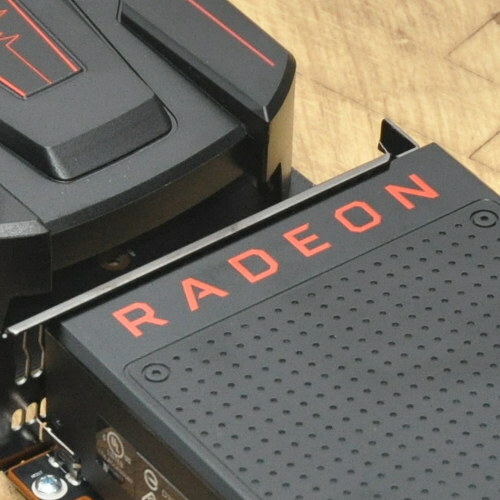 While it comes as no surprise given all the leaks in recent weeks, today AMD officially announced the Radeon RX 590 graphics card as another update to Polaris. The new Polaris PCI ID addition we spotted back in September indeed turned out to be for a new high-end Polaris refresh. The Radeon RX 590 is this new high-end Polaris graphics card that is manufactured on a 12nm FinFET process. The Radeon RX 590 features 36 compute units, 2304 stream processors, a 1469MHz base clock, 1545MHz boost clock, up to 7.1 TFLOPS of compute power, and 8GB of GDDR5 video memory. The RX 590 represents around a 200MHz clock increase and is reported -- at least under Windows -- to be around 10~12% faster than the Radeon RX 580. The RX 590 performance could come out slightly ahead of the GeForce GTX 1060, at least under Windows. The Radeon RX 590 is priced at $279+ USD. For reasons unknown, AMD left us in the dark about the Radeon RX 590 with no review sample(s) nor even any briefing... So I can't firmly say how the Linux support is for launch-day. But we know it's just a Polaris refresh and the PCI ID was added back in September. So if you happen to be using the latest Linux kernel and Mesa components since then, the support should presumably be in good shape barring any situations like flakey vBIOS issues like we've seen at times, etc. But if you are riding an older Linux distribution that isn't using the latest Linux/Mesa, you need to upgrade manually or hold off on your purchase. As a result, I have already bought a Sapphire Radeon RX 590 8GB and so tomorrow or Saturday will be some preliminary Linux figures with more thorough Linux gaming benchmarks to come in the days ahead. The Sapphire Radeon Nitro+ Rx 590 8GB GDDR5 did come in at the $279 USD MSRP (though with shipping and taxes put it up to $309). (As always, if you appreciate my daily Linux benchmarking consider showing your support by joining Phoronix Premium or making a PayPal tip, at the very least please do not view this site with any ad-blocker.) Given AMD's generally stellar open-source Linux driver support these days, it baffles me why they would leave Linux gamers in the dark for this RX 590 launch. So stay tuned for the initial AMD Radeon RX 590 Linux benchmarks in the days ahead with OpenGL, Vulkan, and Steam Play gaming tests. OpenCL/ROCm compute tests and more will follow. Premium members please let me know any other particular test requests you may have for this 12nm Polaris.